November saw 168 aircraft deliveries, the highest ever achieved for the month and the third highest month on record overall. These deliveries take the total for the first 11 months of 2018 to 1389, an advance of 104 aircraft compared to the same point in the record setting 2017. 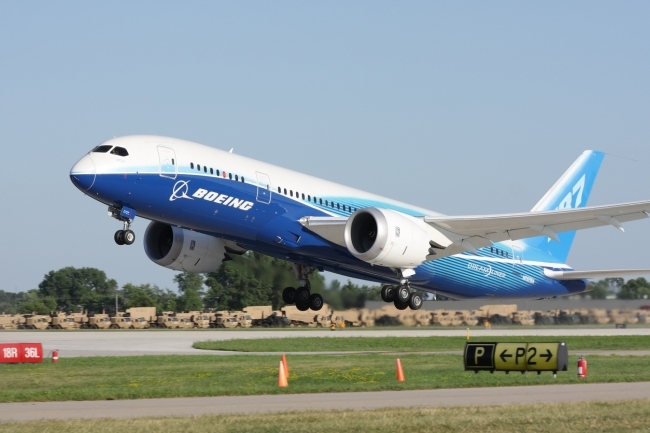 The month’s deliveries were worth up to £3bn to the UK, which manufactures major components like wings, engines, landing gear and avionics for the world’s most widely flown commercial aircraft. The total value to UK industry of deliveries so far this year has now reached up to £26bn. 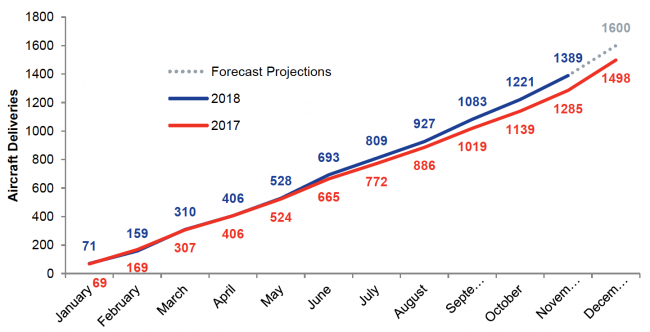 The anticipated total number of deliveries has been revised down to 1600 from 1710 as major manufacturers adjust expectations in light of slower than expected engine deliveries. However, 2018 is still set to achieve a substantial new record in aircraft deliveries, going beyond the 2017 total of 1498. Demand also remains strong, with the backlog of orders staying above 14,000 for an entire year for the first time. ADS Chief Executive Paul Everitt said: “Sustained growth in demand for aviation around the world is pushing commercial aircraft deliveries towards another new annual record. “This industry is worth more than £30bn a year to the UK, and at the end of 2018 we are celebrating an Aerospace Sector Deal announced this month that can help make the UK a world leader in electrification of flight. “This is a long-cycle industry and the orders being delivered this year were placed long before UK manufacturers faced the current Brexit uncertainty. “There are now fewer than 100 days before the UK is due to leave the EU, and companies are reluctantly implementing contingency plans to prepare for the worst case scenario of a chaotic no-deal Brexit.